Back-to-school season is now in session! In spirit of the occasion, we’d like to take it back to basics with an educational piece on renters insurance. Although landlords are traditionally responsible for maintenance work done on rental properties, they are not liable for the tenant’s possessions. Renters insurance is especially relevant for any college students packing up and moving into their off-campus residence. 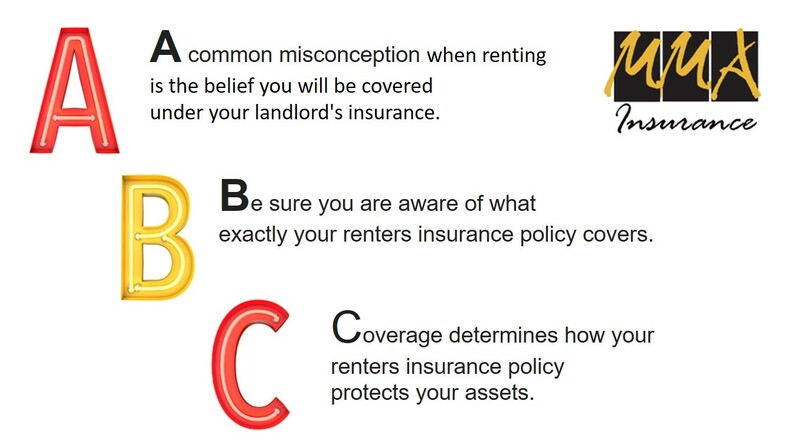 A common misconception when renting is the belief you will be covered under your landlord’s insurance. However, all that policy protects is what belongs to your landlord. Tenants should purchase renters insurance to protect their personal assets while renting a property. Be sure you are aware of what exactly your renters insurance policy covers. Most offer personal property and personal liability coverage, but some policies may also include exclusions. Knowing what is and isn’t covered is key. Coverage determines how your renters insurance policy protects your assets. Actual Cash Value (ACV) insures items for their current worth, while Replacement Cost pays for the replacement of damaged items with brand new pieces. Speak with an agent to determine the best possible option for you.